It is grown from separate bulbs, but some varieties can be sown as well. Put the bulb in the soil with the neck facing upwards. It grows above 7 °C (45 °C), optimum temperatures for growth are around 20 °C (68 °F). At least 30 cm (12 in) between rows and at least 20 cm (8 in) between plants in a row. As early as possible, in March or April. Sow for seedlings in January. You can plant in fall as well. It doesn’t need soft soil. If needed, add potassium or fertilize with wood ash. Zucchini, kohlrabi, carrots, cucumbers, tomato, parsley, parsnip, beetroot, lettuce, strawberries, anis, dill, chamomile, potato, radicchio. Beans, peas, broad beans, chickpea, Savoy cabbage, cauliflower, Chinese cabbage, cabbage, chives, leek, black radish. Onion fly, thrips. Set adhesive boards near and when the first flies get caught, cover tightly (with arches over the plants). Keep the soil soft and the right distance between the rows. Don’t plant in the same place for at least five years. Don’t fertilize with nitrogen or barn manure. Pick together with leaves; when these get dry, bind into bunches and dry in a dry place. Store in a dry place in net bags or hang in bunches. 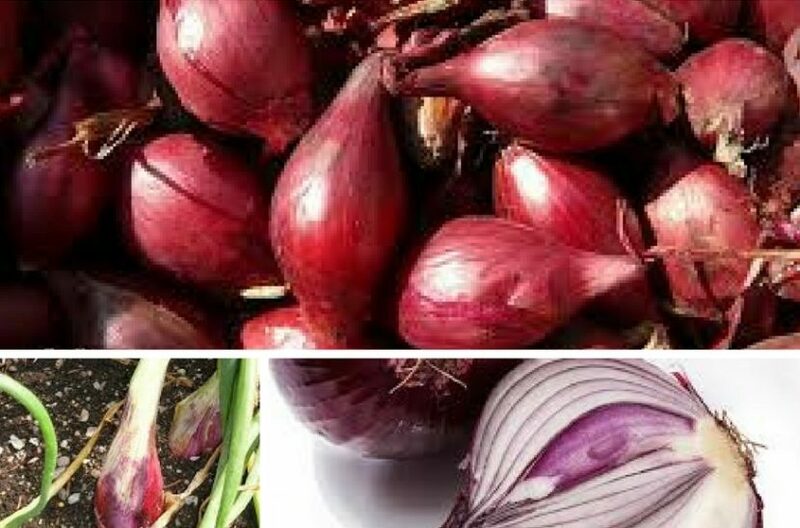 Use ripe bulbs, similarly like onion. Don’t fertilize with barn manure or nitrogen. It is sensitive to the length of the day, so plant early. If you want to get thicker bulbs, pull out the shallots from the middle. It is very similar to onions, but less sensitive to cold and easier to store.